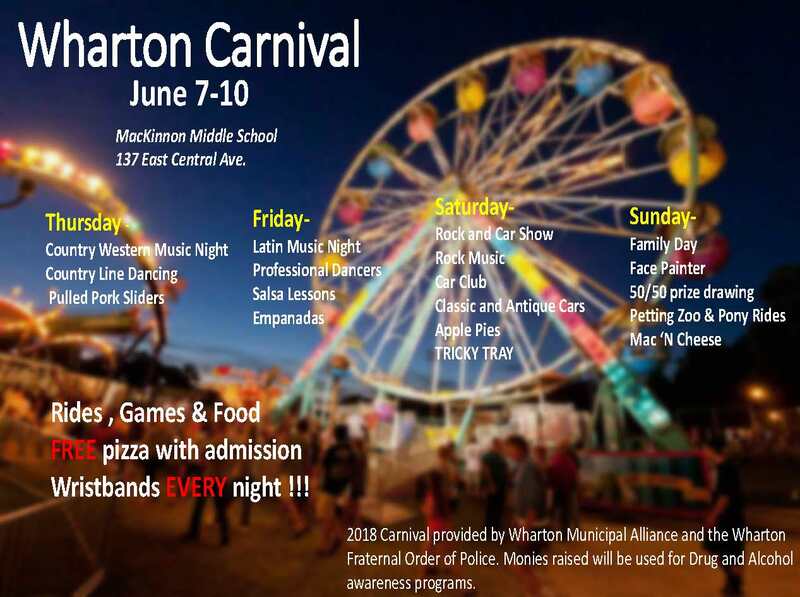 The Wharton Municipal Alliance and Wharton Fraternal Order of Police will be hosting their annual Carnival from Thursday, June 7th through Sunday, June 10th, located at MacKinnon Middle School on E Central Ave. 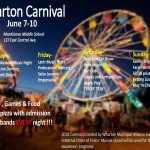 The four day carnival will feature rides for families and thrillseekers alike, games and prizes, music and dancing, 50/50 raffle, and delicious food including pulled pork sliders, empanadas, and more! Pay one Price ride wristbands are available every night for $25 per wristband/per night. You can also purchase individual ride tickets.